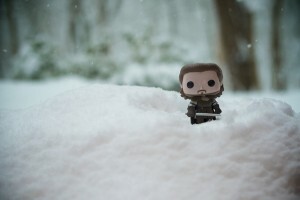 The Starks are always right eventually: Winter is coming. I don’t know about you, but fall has certainly snuck up on me. I often find myself panicking shortly after Labor Day, trying to figure out what to do next. Should I make an apple pie? Should I hang cinnamon sticks in the doorways and decorate for Halloween? When are the pumpkin lattes back? 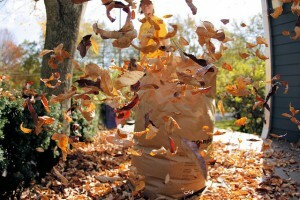 One of the first things to do with fall preparation, however, is to prepare the yard for winter. Doing so now while the weather is still fairly agreeable is a good way to stay ahead and avoid headaches during winter. Got perennials? Use the three p’s: prune, plant, and protect. If you have perennial plants (or plants that flower for more than one season), now is the time to take care of them. Older shrubs and plants need to be pruned down so that they can flower next season; do make sure you read the instructions for your specific plant, however. Transplanting and planting of perennials also happens now. Lastly, take care of your beautiful shrubs and flowering plants with a thick layer of fresh mulch, which can protect your plants’ roots. 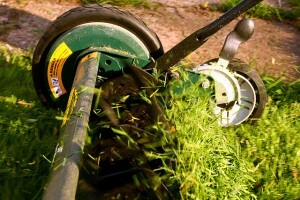 Homeowners often make the mistake of not mowing after Labor Day. Most grasses are still growing throughout the fall until the first frost. While you don’t want to clip it too short, you also don’t want to keep it long, as potential fungi and diseases will often spread under long grasses. Owners who really love their bit of green will want to aerate their lawns as well during this time. Look out for dead trees and limbs. Dead trees can be very dangerous in the wintertime. They can fall on wires and do untold damage to one’s property. See if you can notice which trees are dead, and be sure to take care of them now. Most tree removal services don’t operate in the winter, so contact them now. You’ll need wood for your next fall bonfire, right? Put away gardening supplies and dry out hoses/tubing. Don’t waste all of your hard work setting up an irrigation system and wrecking it or accidentally destroying a hose. 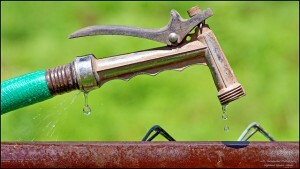 Make sure your water supplies are drained and dry; otherwise, they’ll likely crack due to freezing. Some overachievers I know actually use an air compressor to blow out their irrigation systems. Also, make sure your gardening supplies don’t get needlessly damaged due to rust by tucking them away at the right moment. 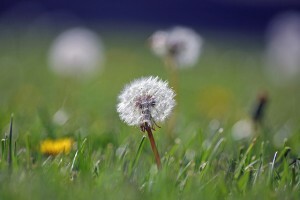 Fertilize your garden and get a grip on weeds now for a better spring. Many experts I’ve talked to tell me that now is the time to get ahead on weeds. Attack them now before they get away from you in the spring. Put out weed control and fertilizer now. I know, it seems like a waste. But this will give your lawn the nutrients it needs to survive the winter. Protect potted plants with blankets. Living in New York, I’m often a fan of simply bringing potted plants indoors, if that’s at all an option. If it’s not, you’ll want to go to great lengths to try to protect them. Place the pot on soil instead of pavement, and keep it on the shady side of your house. This can sometimes prevent the horrible freeze/thaw cycle of winter and spring. Yes, some people really do use blankets to protect their plants. Note that some species are hardier than others, so for some, this hardening off can be much easier than for others. These are some of my tips for taking care of your lawn during the fall. Get this done quickly, and then move onto the really fun stuff about fall (like pies and lattes)! This entry was posted in winter weather. Bookmark the permalink.